Robin Winston | Econsult Solutions, Inc.
An accomplished business leader and a skilled political strategist, Robin Winston has devoted his career to providing timely and savvy strategic, financial, managerial, marketing, and political advice to the people for whom he has worked. In 1999, he made history when he became the first African-American to chair a major political party in Indiana. After a brief stint as a lobbyist for higher education in his native Pennsylvania, Winston moved to Louisville and served as assistant director of St. Benedict’s Center for Early Childhood Education, a United Way-funded not-for-profit. Mr. Winston improved service to Louisville’s minority community by more than doubling enrollment and establishing programs to certify all staff in early childhood development. After inheriting a financial deficit, he left the center with a substantial surplus. Moving to Indianapolis in 1993, Mr. Winston became a community development specialist in the Indiana Department of Commerce. He served as then-Lieutenant Governor Frank O’Bannon’s representative to communities across Indiana. While serving in the Commerce Department, Mr. Winston directed $11 million in grants to communities to improve infrastructure, housing, municipal facilities, and preserve historic buildings. Mr. Winston then accepted Lieutenant Governor O’Bannon’s invitation to join his personal staff as a special assistant. 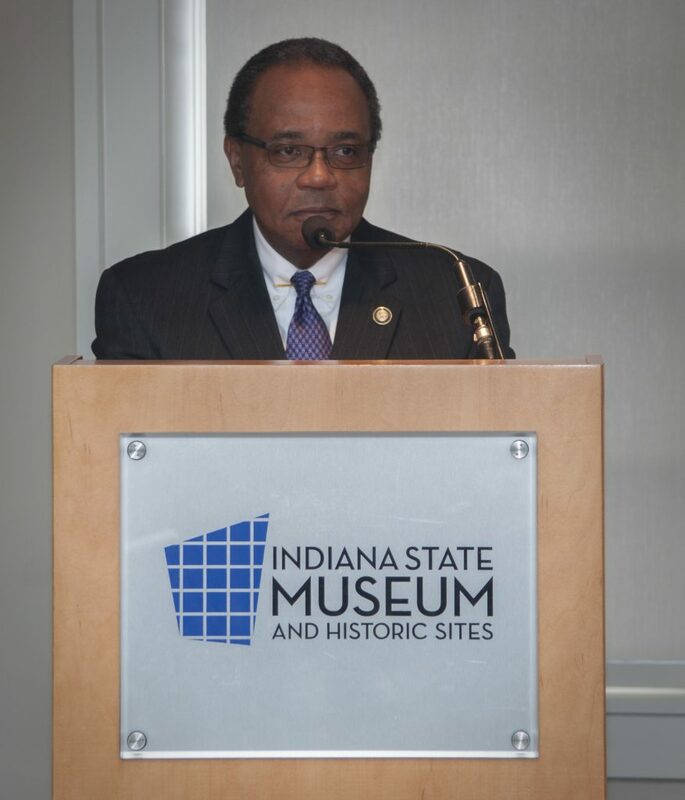 In that capacity, Mr. Winston served as the lieutenant governor’s liaison to several economic development agencies including the Indiana Housing Finance Authority, the Small Business Development Corp., the Minority Business Development Commission, and the Community Development Division of the state Commerce Department. Mr. Winston focused on enhancing community outreach for the agencies and served as a principal advisor to then-Lieutenant Governor O’Bannon. Mr. Winston left public employment in 1996 and became deputy director of O’Bannon’s successful campaign to be elected governor. Following the election, Mr. Winston became political director of the Indiana Democratic Party. He became Chairman in 1999 at the request of Governor O’Bannon and United States Senator Evan Bayh. Now a successful businessman in Indianapolis, he runs one the largest minority-owned government affairs, community relations and public outreach firm in Midwest. The Winston/Terrell Group has successfully represented clients in the transportation, human services, homeland security and public utilities fields. With affiliate offices in Chicago; Columbus, Ohio; Louisville and partnerships in Philadelphia and Washington, DC, Winston’s firm continues to expand its capabilities to serve diverse clients. Public outreach, community relations and government affairs reinforce his commitment to diversity. He has led the effort for inclusion of minority-owned firms on federal, state and local projects. Using personal funds, Winston started a scholarship program for inner-city public school students who plan to attend college.